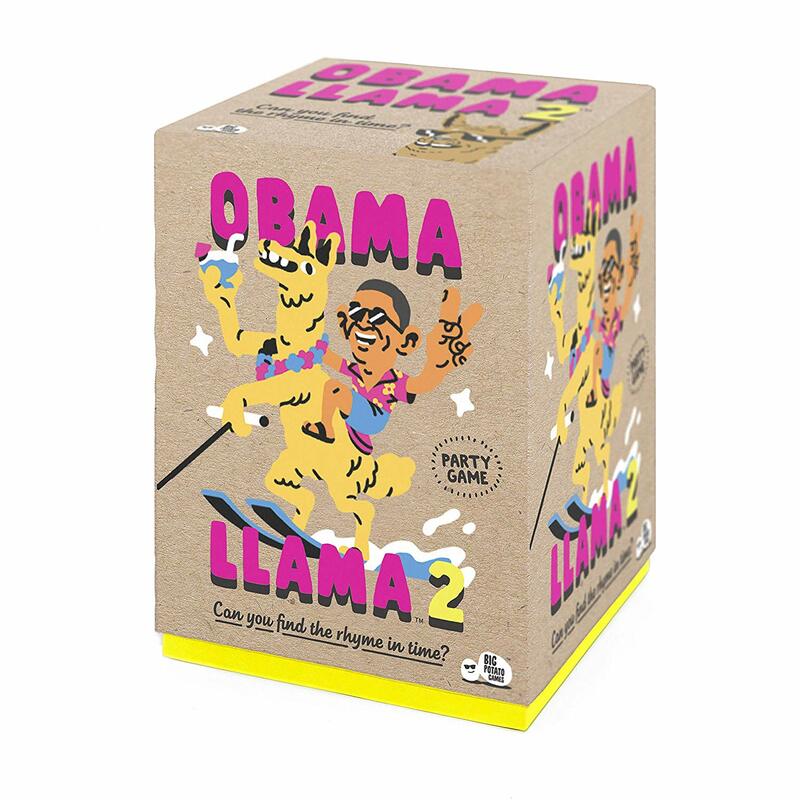 Obama Llama is the ridiculous rhyming charade game with the weird-sounding name. 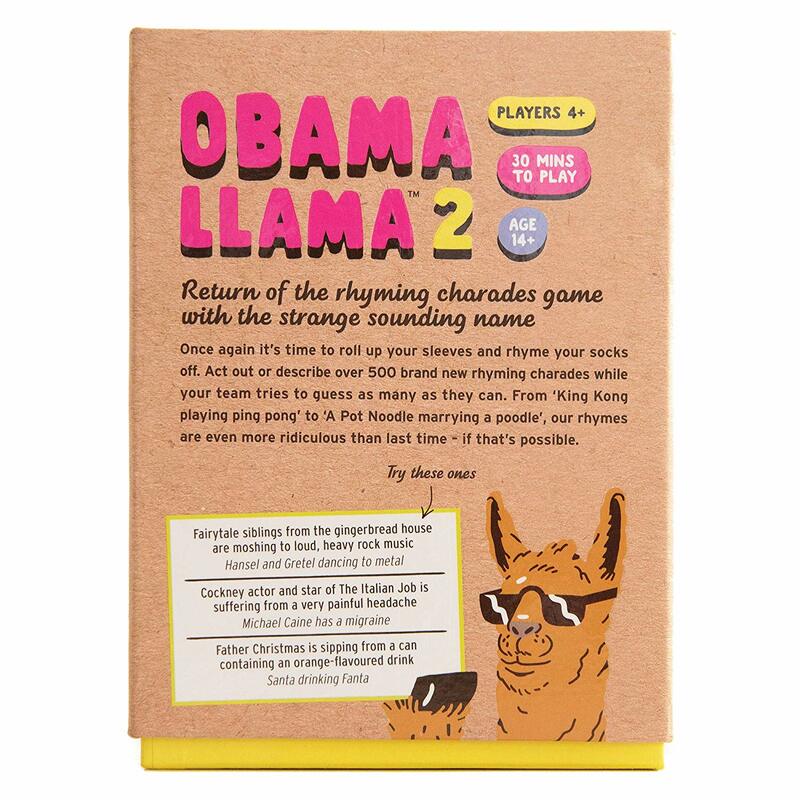 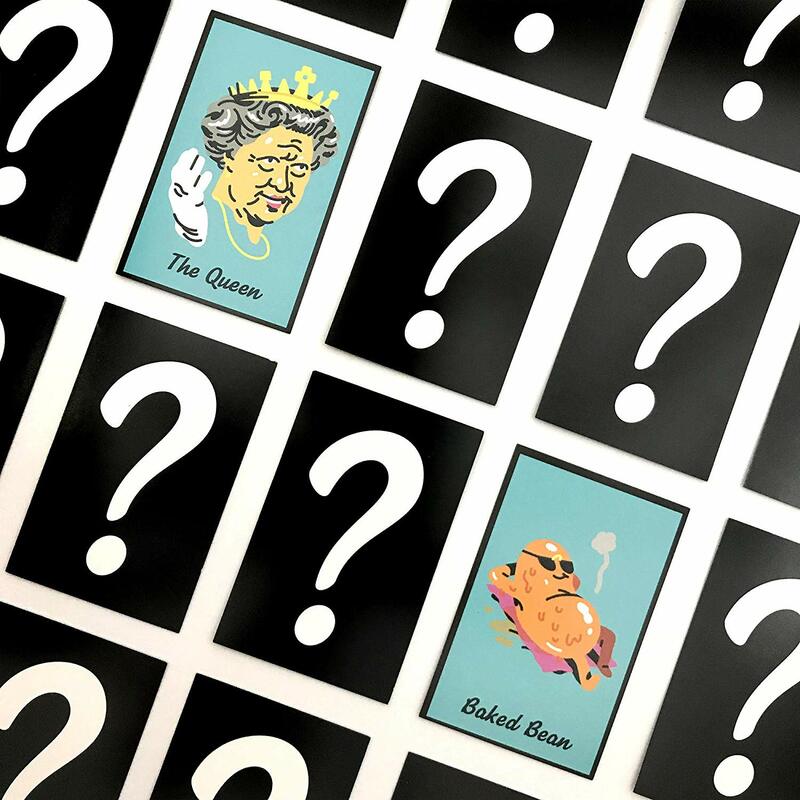 The rhyming party game with the odd sounding name is back! 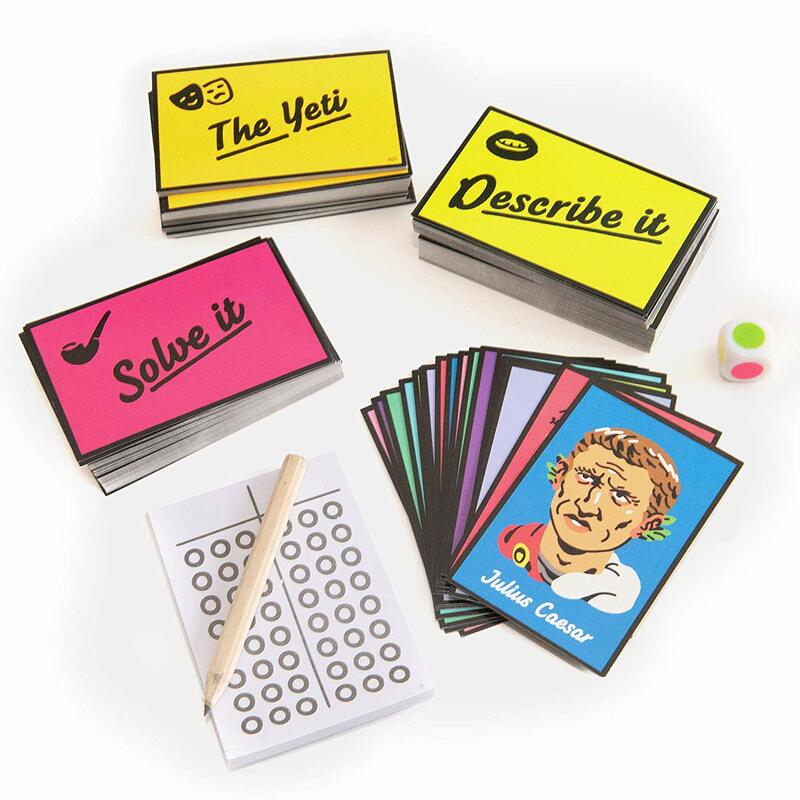 Jam-packed with over 500 brand new rhymes to describe and act-out to your team; from ‘Eiffel Tower taking a shower’ to ‘King Kong playing pong’ to ‘A Pot Noodle marrying a poodle’. 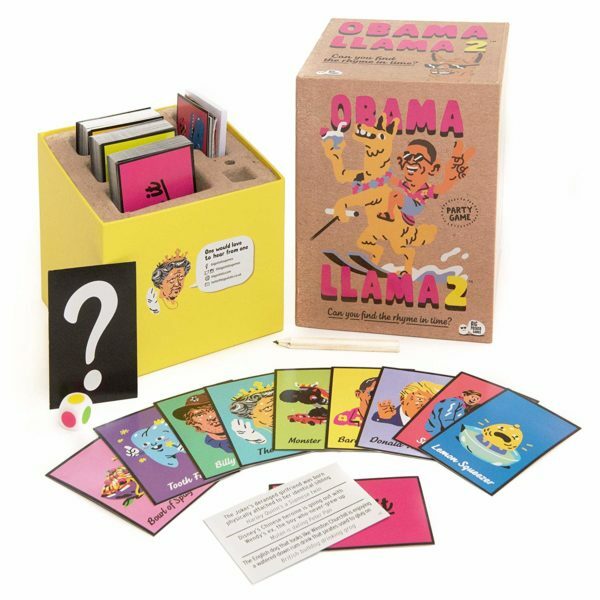 Like a mix between Articulate, charades and a 30-second rap battle, this is a great game for kids and adults alike, which works best with 4-20 players. 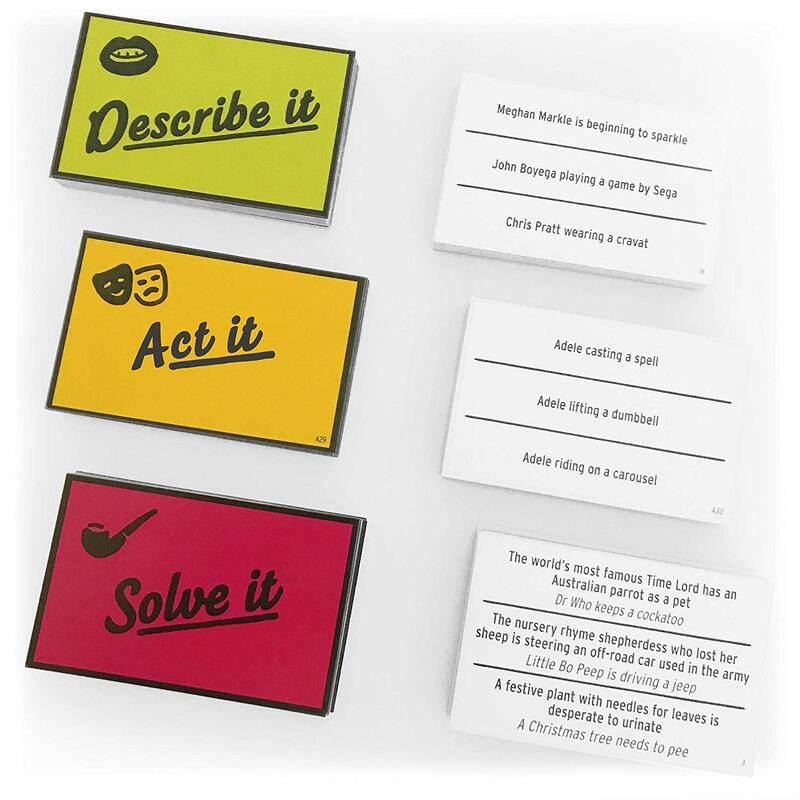 Players must try their best to describe such rhymes to their team by either acting them out, reading a riddle or attempting to explain them in their own words with their team trying to guess as many as they can in 30 seconds time.